The Good Housekeeping Anti-Aging Special covers all aspects of looking great, feeling fantastic, slowing the signs of ageing and living a longer, healthier life. 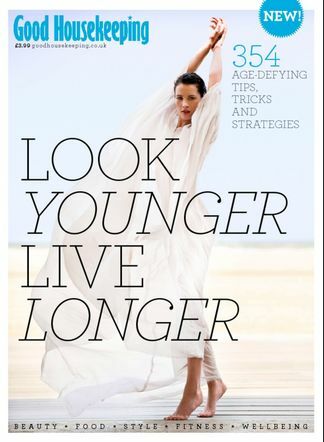 This beautiful publication from Good Housekeeping covers all aspects of looking great, feeling fantastic, slowing the signs of ageing and living a longer, healthier life. From skin, hair and body care through to the latest beauty breakthroughs; diet and nutrition; youth-boosting fashion and style; spas, relaxation and emotional wellbeing. Celebratory and inspirational, it’s bursting with accessible ideas that readers can easily incorporate into their daily life with brilliant results. Be the first person to tell us what you think about Good Housekeeping Anti-Aging Special 2014 and you'll save $5 on your next purchase! https://www.isubscribe.com.au/good-housekeeping-anti-aging-special-2014-digital-subscription.cfm 37867 Good Housekeeping Anti-Aging Special 2014 https://www.isubscribe.com.au/images/covers/au/5254/37867/square/GoodHousekeepingAntiAgingSpeci1916104545.jpg AUD InStock /Digital/Entertainment/Women The Good Housekeeping Anti-Aging Special covers all aspects of looking great, feeling fantastic, slowing the signs of ageing and living a longer, healthier life.